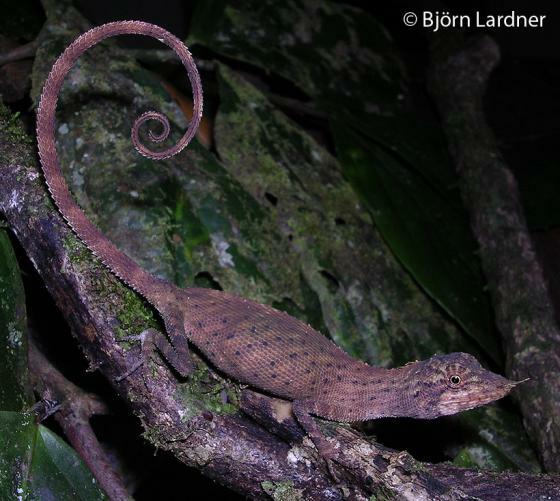 Can you confirm these amateur observations of Harpesaurus borneensis? Type locality: Central Borneo, probably Kapoeas area. Types Holotype: SMNS 4596, adult female. Comment MANTHEY & SCHUSTER 1999 note that there are no external differences to Harpesaurus but they still list this species as Hylagama. King F W 1978. 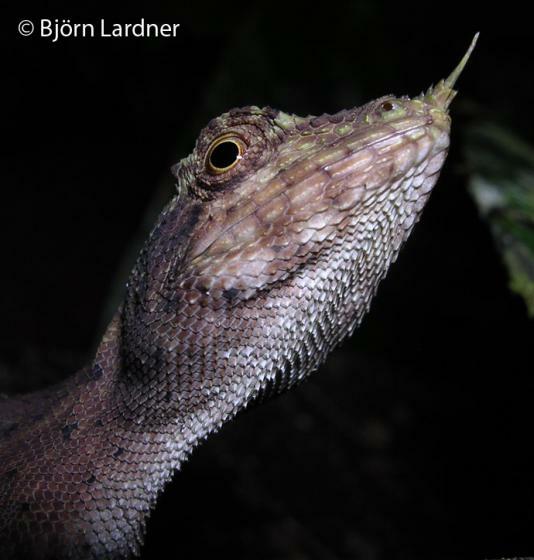 A new Bornean lizard of the genus Harpesaurus. Sarawak Museum Journal 26(No. 47) 1978: 205-209.